Cities are mosaics composed of unique neighbourhoods and social groups, and we can describe the different pieces by income, race and gender, among many other characteristics. Past research has explored some of the socioeconomic consequences of these characteristics for people living in different parts of the city, but recently it has become more apparent that age and generational differences are also important factors shaping the opportunities and challenges facing a city’s population. Generationed City is a research project founded by Professor Markus Moos at the University of Waterloo that studies the growing divisions between generations in terms of employment prospects, earnings, housing situation, residential location, and various other dimensions of socioeconomic well-being. 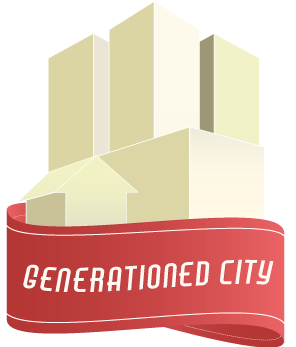 At Generationed City we aim to be a conduit for urban generational research that informs public and policy debates. We want to highlight how societal changes are impacting different generations in unique ways in order to develop policies that are responsive to the needs of different age groups —for example, social and economic policy aiming to help people who are experiencing job losses ought to look different for someone aged 25 versus 63 years old. Our current research looks specifically at the housing and employment challenges facing young adults in the US and Canada. If you are between the ages of 18 and 40, please consider completing our survey to help us with the research. Your responses will help us better understand the ways certain employment characteristics and your socioeconomic status relate to specific housing outcomes, particularly in terms of affordability challenges. It is hoped that this research will inform future policies that can improve the housing and employment difficulties confronting young people today. Learn more about Generationed City – click here. Dr. Markus Moos is a contributor to Curb Magazine. Read an excerpt of his latest piece, “Millennials Ditching Their Cars: For Now or For Good?” published in the 5.3 edition of Curb Magazine.